As an only child I never experience this term call Sibling Rivalry. Until now with the new Fujinon XF23mm F2 WR. This is not the first sibling rivalry in the X-Series Fujinon family. Last year we had XF 35mm F2 WR vs the classic XF 35mm F1.4. 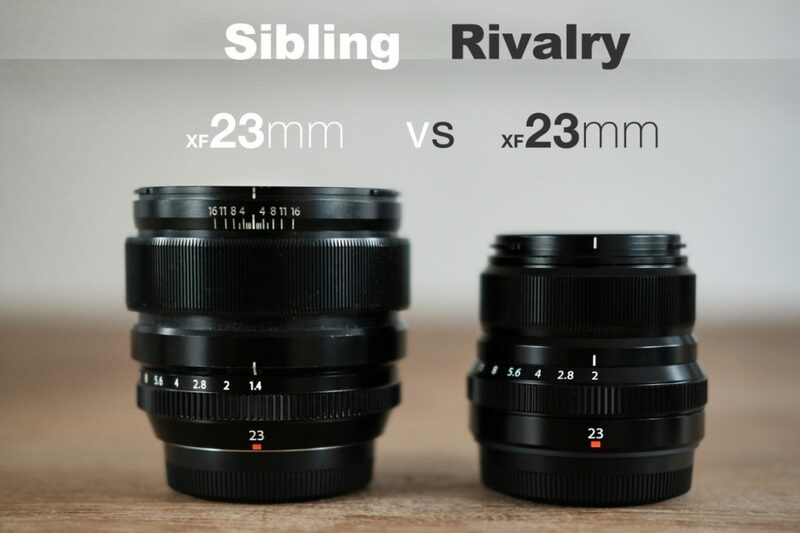 You could read more here :https://ivanjoshualoh.com/2016/01/04/35mm-vs-35mm/ This year, I feel the 23mm siblings is definitely a more heated rivalry in the Fujifilm family. Specially for street photographers; this is the must have focal length. Now, lets get into the details of this new lens. The XF23mm F2’s design follow its cue from its elder brother XF 35mm F2 WR. If you are looking at small lenses in your X-series set-up, look no further. Its has 9 rounded blades in its core……..